As the weather turns cool, my thoughts turn to hearty soups, stews and a great mac and cheese, the kind that is bubbly and creamy beneath crusty-browned goodness. And I’d like to thank Thomas Jefferson for his help popularizing pasta in this country several centuries ago. 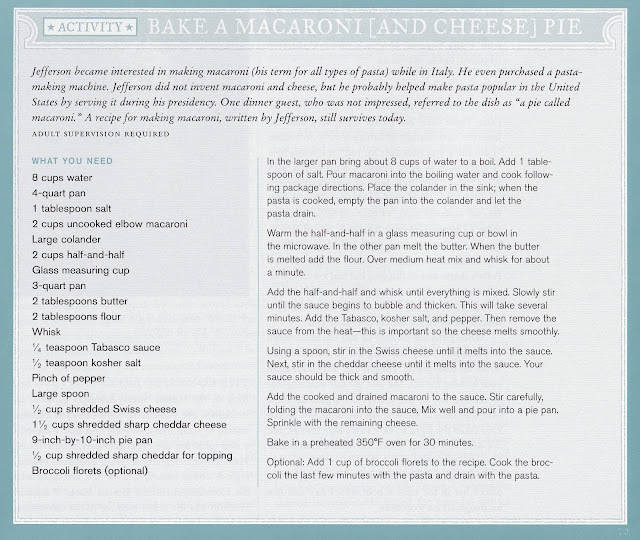 Jefferson adored good food and drink. As Minister to France he fell in love with French cuisine and wines and furthered his education as a delighted traveler to Italy. Back home, enslaved cooks like James Hemings (who trained in Paris), Peter Hemings, Fanny Gillette and Edith Fossett, mastered the art of French cooking and pastry making for Jefferson’s meals at Monticello and in Washington. 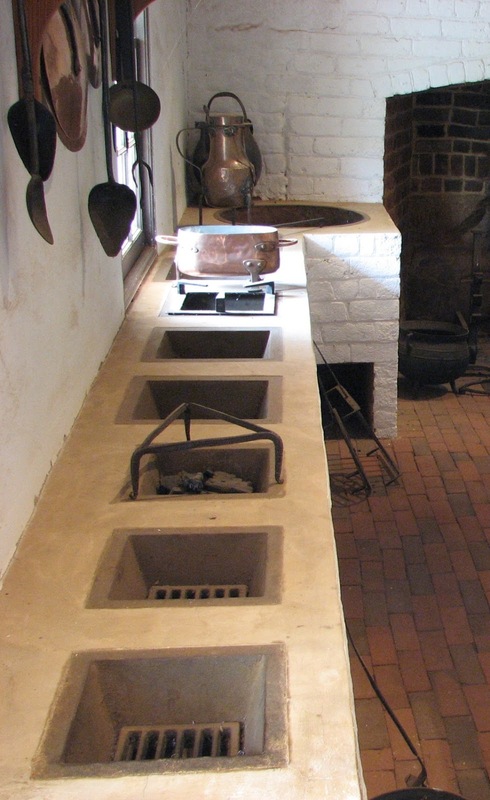 Both Monticello and Jefferson’s intimate get-away home, called Poplar Forest, boasted state-of-the-art kitchens. These included an innovative “stew stove” where delicate sauces simmered on grates over a scoop of hot coals. 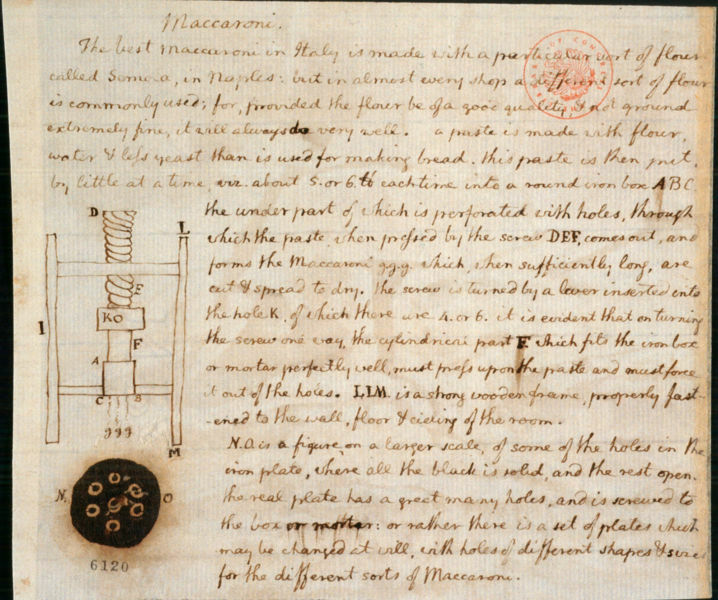 One dinner guest was not impressed when Jefferson served him “a pie called macaroni.” Hopefully that fellow approved of the eight varieties of wine offered with dinner. 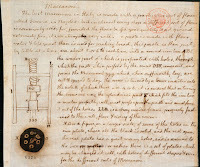 Jefferson’s wine bill from his first term as president ran to $10,000. His love of food and drink certainly contributed to his burgeoning debt! 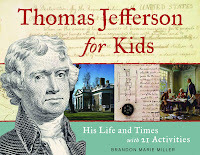 Thomas Jefferson for Kids includes two food activities—making fresh grape juice (Jefferson tried for years to grow grapes for wine-making) and baking a macaroni (and cheese) pie. As cold weather sets in, why not try this rich macaroni recipe? What are your favorite—healthy or not-- cold weather comfort foods? That sounds delicious. I may have to make it! It is good. Let me know if you make it and what your family thinks! Thanks, Sherry!